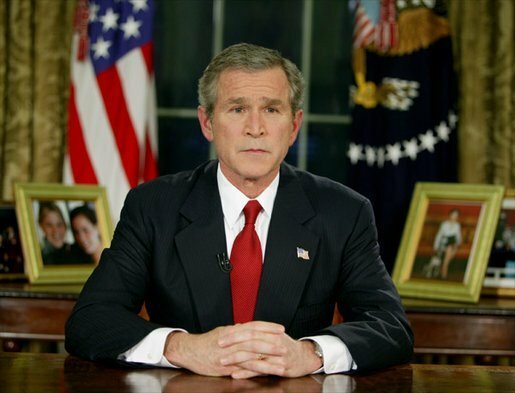 President George W. Bush addresses the nation from the Oval Office to announce the beginning of Operation Iraqi Freedom. The Senate committee found that many of the administration’s pre-war statements about Iraqi WMD were not supported by the underlying intelligence. Approximately 148,000 soldiers from the United States, 45,000 British soldiers, 2,000 Australian soldiers and 194 Polish soldiers from the special forces unit GROM were sent to Kuwait for the invasion. The invasion force was also supported by Iraqi Kurdish militia troops, estimated to number upwards of 70,000. The massacre My Lai took place in the hamlets of Mỹ Lai and My Khe of Sơn Mỹ village in Vietnam. Was a mass murder of between 347 and 504 unarmed civilians in South Vietnam on March 16, 1968, by United States Army soldiers of “Charlie” Company of 1st Battalion, 20th Infantry Regiment, 11th Brigade of the Americal Division. Most of the victims were women, children (including babies), and elderly people. Some of the bodies were later found to be mutilated.While 26 US soldiers were initially charged with criminal offenses for their actions at Mỹ Lai, only Second Lieutenant William Calley, a platoon leader in Charlie Company, was convicted. Found guilty of killing 22 villagers, he was originally given a life sentence, but only served three and a half years under house arrest. An armistice was signed to end hostilities in the Korean War, officially making the Division of Korea indefinite by creating an approximately 4 km (2.5 mi) wide demilitarized zone running across the Korean Peninsula. The area now as 한반도 비무장지대 in Korean is a strip of land running across the Korean Peninsula that serves as a buffer zone between North and South Korea. The 38th parallel north—which cuts the Korean Peninsula roughly in half—was the original boundary between the US-occupied and Soviet-occupied areas of Korea at the end of World War II. In a coup d’état, alternatively known as the 14th July Revolution, military overthrow Iraqi Hashemite monarchy under Faisal II and the regime of Prime Minister Nuri al-Said. The dispatching of Iraqi army units to Jordan played into the hands of two of the key members of the Iraqi Free Officers movement: Colonel Abdul Salam Arif and the movement’s leader, Brigadier General Abdul Karim Qasim. United States Navy warship USS Vincennes shot down Iran Air Flight 655 over the Strait of Hormuz, toward the end of the Iran-Iraq War, killing all 290 people aboard. The aircraft, an Airbus A300B2 operated by Iran Air, was flying from Bandar Abbas, Iran, to Dubai, UAE, when it was destroyed by the U.S. Navy’s guided missile cruiser USS Vincennes. It was the highest death toll of any aviation incident in the Indian Ocean and the highest death toll of any incident involving an Airbus A300 anywhere in the world. Vincennes was traversing the Straits of Hormuz, inside Iranian territorial waters, at the time of the attack IR655 was within Iranian airspace. The U.S. Supreme Court delivered its decision in Hamdan v. Rumsfeld, ruling that military commissions set up by the Bush administration to try detainees at Guantanamo Bay violated both U.S. and international law. United States Army Colonel George Armstrong Custer was killed at the Battle of the Little Bighorn in present-day Big Horn County, Montana. On June 25, some of Custer’s Crow Indian scouts identified what they claimed was a large Indian encampment along the Little Bighorn River. Custer divided his forces into three battalions: one led by Major Marcus Reno, one by Captain Frederick Benteen, and one by himself.